2 Bedroom Semi Detached Bungalow For Sale in Stockport for Offers in the region of £175,000. A two bedroom semi detached bungalow with off road parking to the side leading to the detached garage. A fantastic location for a great bungalow with a good sized kitchen, lounge, hallway to two double bedrooms and the bathroom. There is a lawned garden to the rear and off road parking for several vehicles. 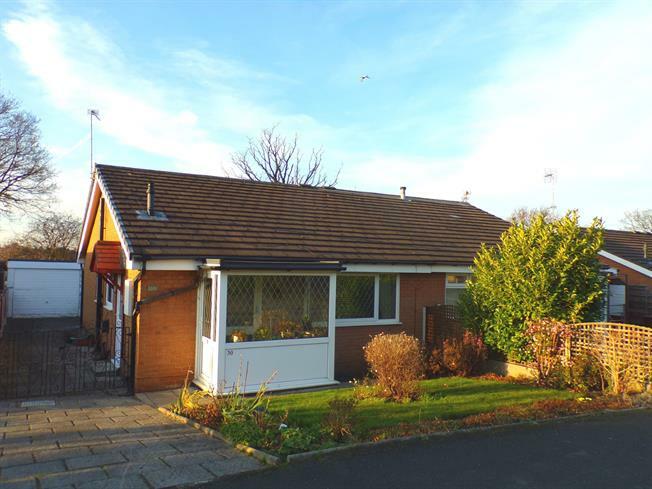 A two bedroom semi detached bungalow with no onward chain.